There's a holy trifecta in kids' crafts, which include: the paper plate craft, the cardboard tube craft, and the paper bag puppet. 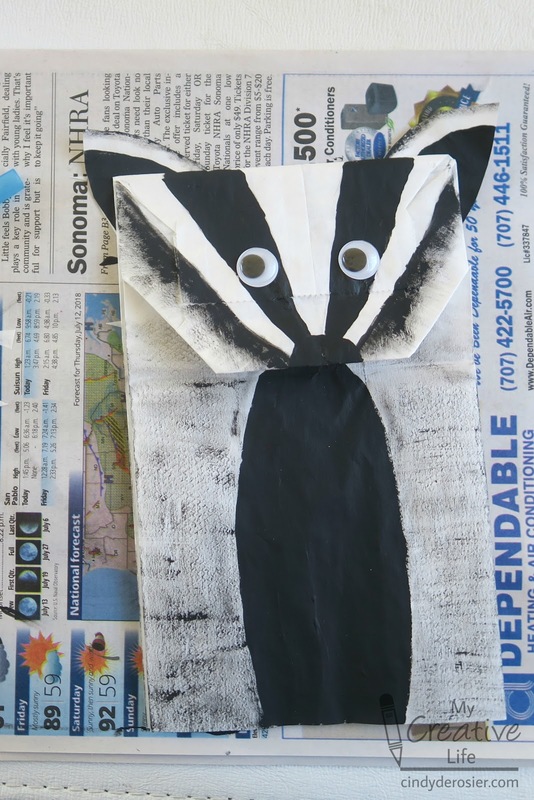 Name just about any animal or character that is popular with kids and you'll be able to find tutorials to make them using a paper plate, a cardboard tube, and a paper bag. Part of my job as Editor of Fun Family Crafts is to make sure we have a variety of craft tutorials on our site. We don't need another paper plate ladybug, as we already have three good ones. But when I notice that we are missing one of the trifecta for a particular animal or character, I'll either look for it or make it myself. 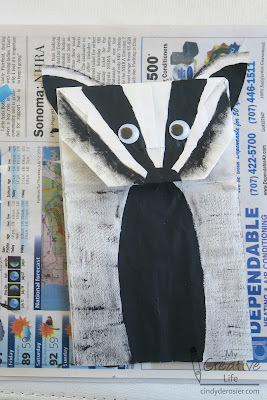 Hence, my Badger Paper Bag Puppet. Position the paper bag so that the flap will be the badger's mouth. Cut a few inches off what is now the bottom of the paper bag. 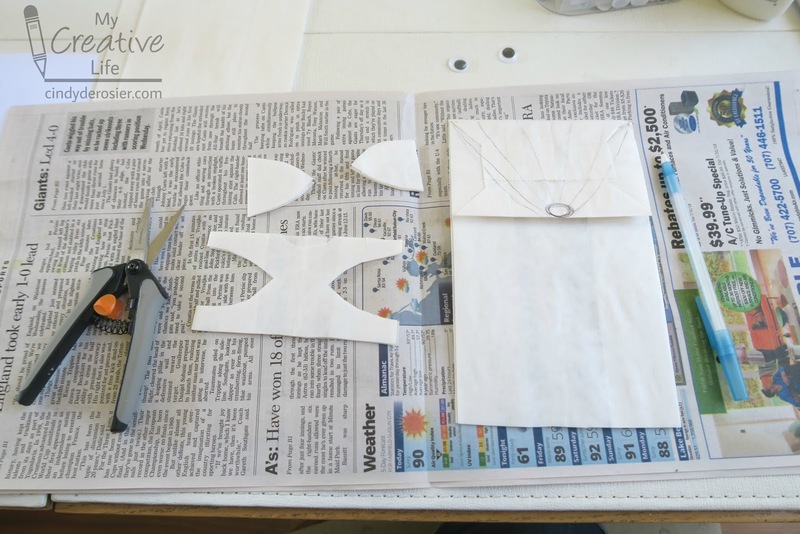 Cut two triangular ears from that piece. 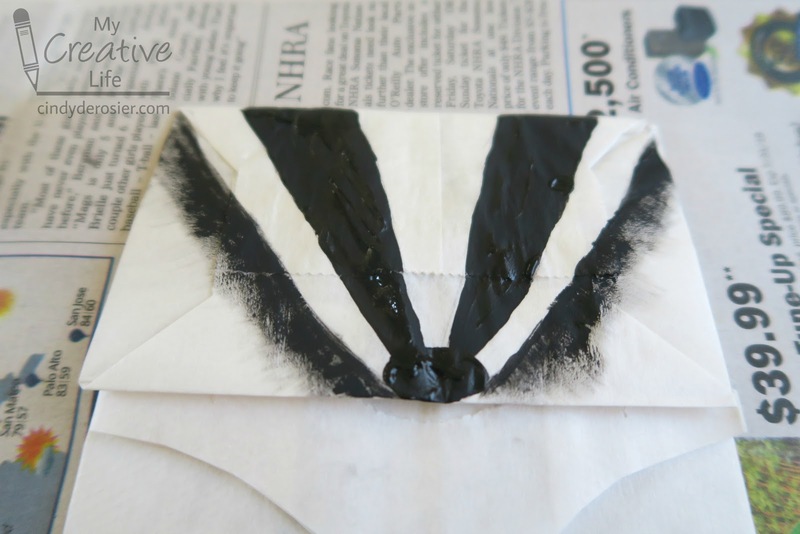 Paint a black V on the badger's face. 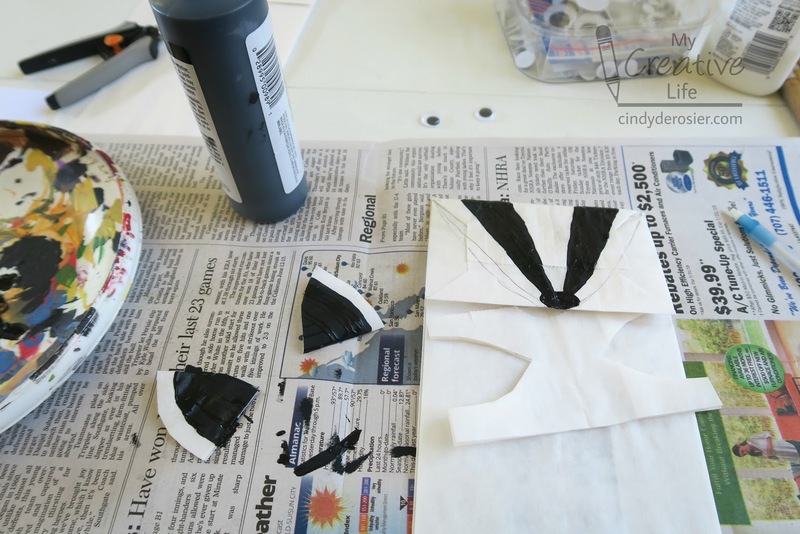 Paint the ears black, leaving a white edge on each. 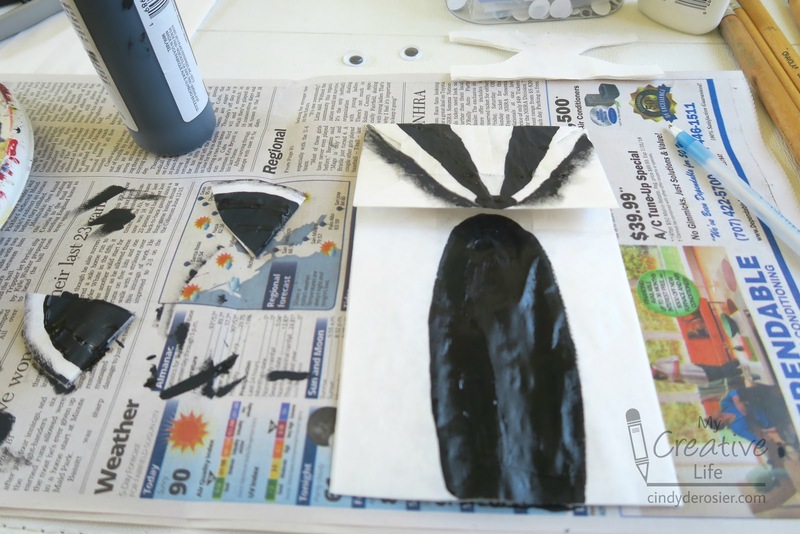 Paint an oval belly on the badger. Without reloading the brush, make short, dragging motions to add a second, wider V on the badger's face. You're trying to get the look of fur. Here's a closer look. Ignore the nose. You should just have V's on the face at this point. 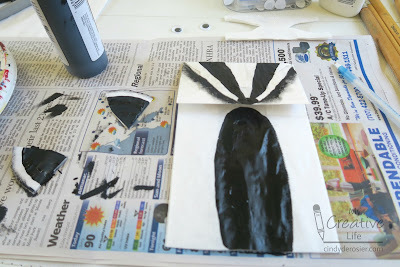 Use very light strokes to add a bit of paint to the badger's body. Glue the eyes and the ears in place. 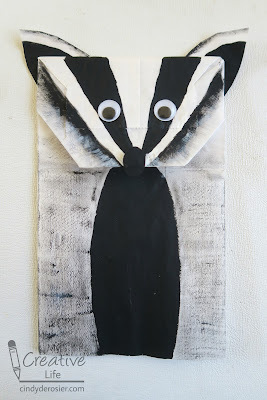 Fold the corners of the bag under to suggest the badger has a pointy snout. I don't like how the nose looked, so I ended up painting over it with white. Then I cut out an oval, painted it black, and glued it vertically. Much better. This puppet turned out so cute! I really didn't know anything about badgers and wondered if they looked a bit like skunks. I had to google it!